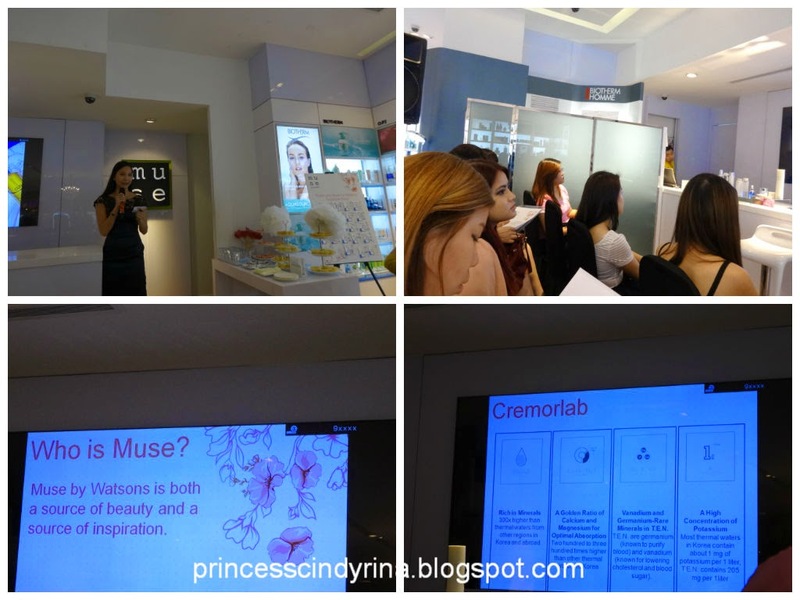 I was invited to visit Muse by Watsons at Sunway Pyramid for 10 Step Korean Skincare Regime demonstration. For years Watsons is well known as Asia's leading health and beauty retailer. You won't miss their appealing stores since they currently operating over 3,500 stores across Asia which also including European market too. In Malaysia alone, Watsons operates 250 stores serving in total more than 50,000 customers daily. 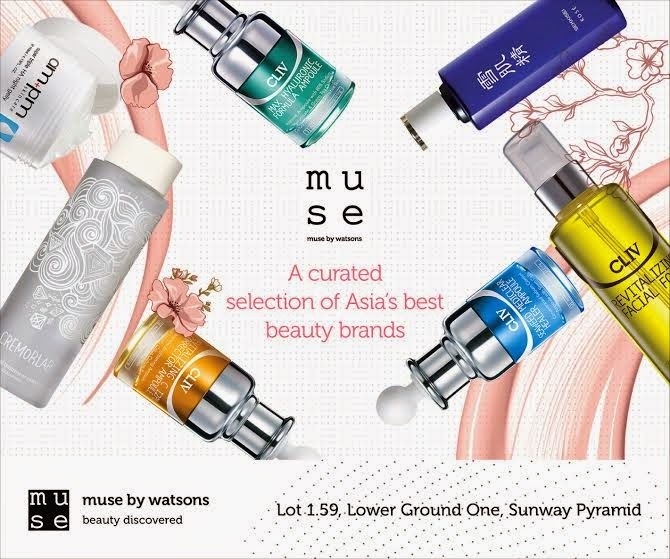 Following to the current trend and to be more competitive in beauty industry, Muse by Watsons was established to cater a premium beauty retail brand in year 2013. Muse by Watsons offer a holistic experience of rediscovering beauty, supporting its brand promise of ' LOOK GOOD AND FEEL GREAT'. 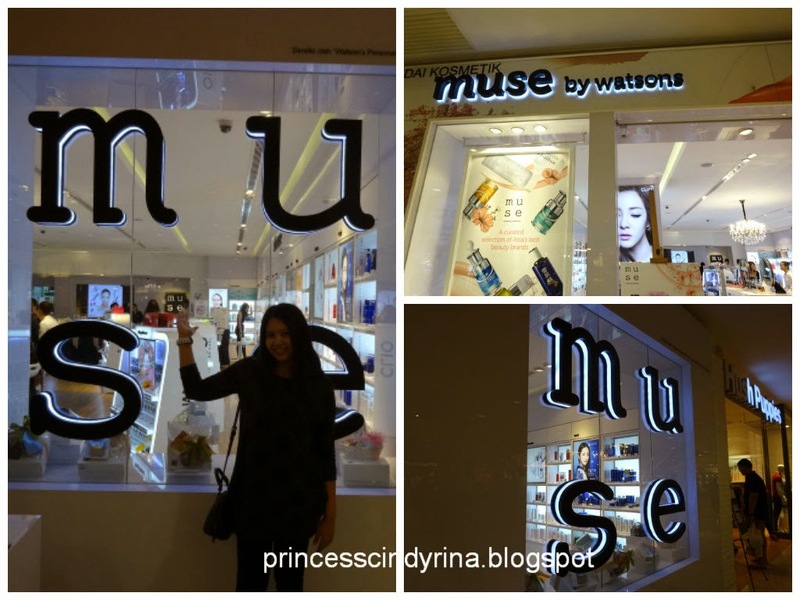 The flagship MUSE by Watsons store located in Sunway Pyramid Shopping Mall and is the first in the region. MUSE by Watsons offers personalised services by professional beauty consultants, qualified skin specialists and well-trained nail colour service assistants. 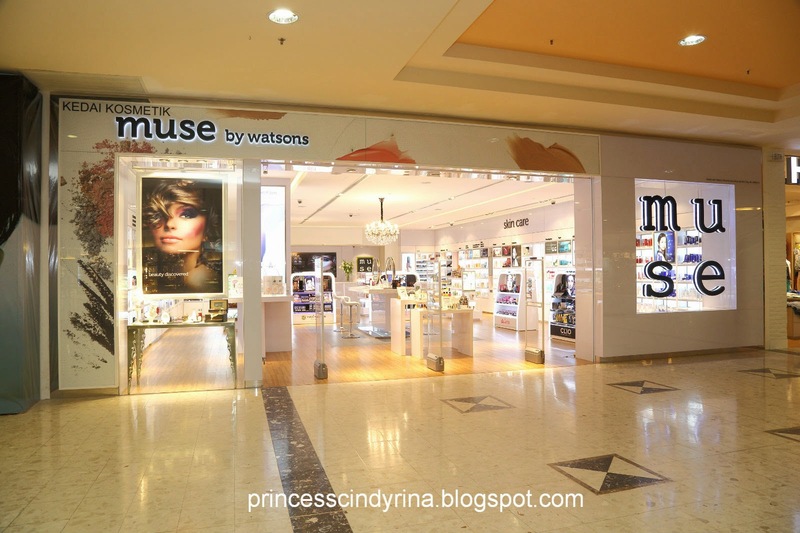 MUSE by Watsons houses 12 exclusive brands and cosmetic products for both women and men of all ages. As usual IMA reached the second...I let one glamour blogger enter the store first. Haishhhh... looking at her...IMA feel so under dress for the event. Really I am bad when it come to dressing up! I need to learn more. Well actually reached Sunway Pyramid as early as 11:30am for an event start only at 2:30pm. I know...that photo of me with MUSE look very dark. Being among the earliest has lots of advantages. There are saying says....Early bird catch the worms!!! 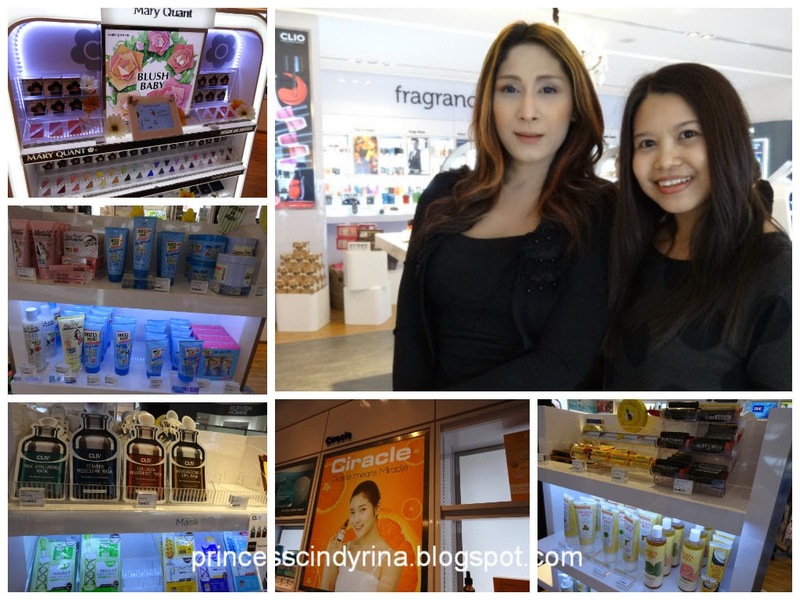 Sabrina the bubbly and gorgeous beauty consultants really walk me through the entire stores with lots of details explanation on brands carry by MUSE. Her explanation was so details and as if she is reading a beauty bible. 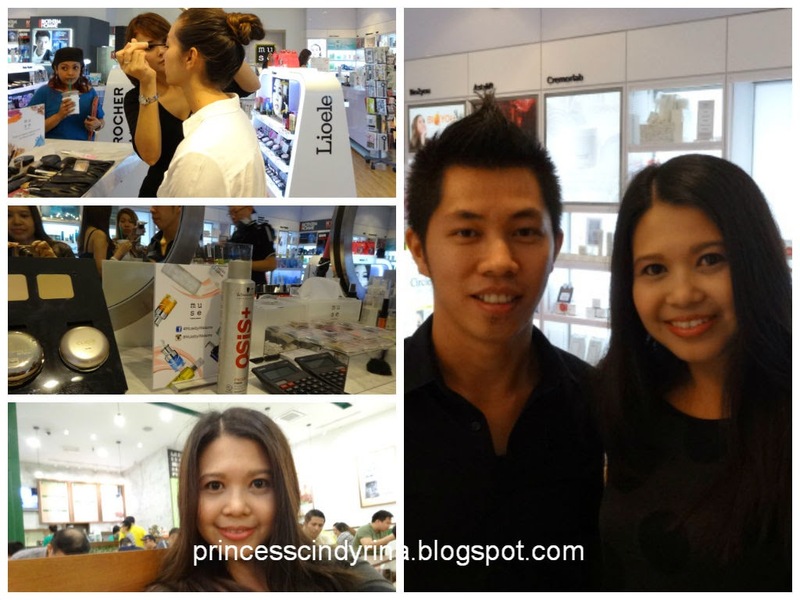 This means it is proven most of beauty consultants at MUSE by Watsons is well trained. You want anti ageing? Reduce dark circles? Serum? Acne prevention? more and more and more....from top to toe and they even carries variety of famous fragrance. You name it!!!! You got it Babe! All caterpillars was welcome by MUSE by Watsons Brand Manager, Miss Amanda Gan. 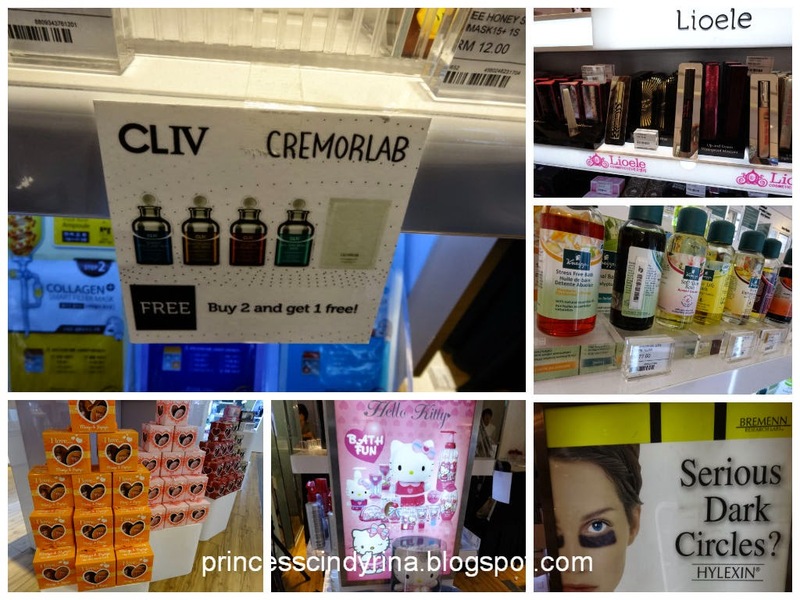 Our main focus review for today is Cremorlab brand and CLIV which one of the exclusive brand carry by MUSE by Watsons. We were presented with live 10 step Korean Skincare Regime by one of Senior Beauty Stylist and Consultant. That gorgeous woman was the model of the day! 10 steps??? OH MY GOD!!! that long for skincare regime? So hardworking meh??? - most Korean use the "double cleanse" method. - Remove make up with gentle makeup remover for eyes and lips then followed by a cleansing oil for face. - Use a nutrient-rich cotton wipes which is gentle on the skin. - Next use a deep cleansing oil to draw out impurities within pores. - Korean women will cleanse with mild cream or foaming cleanser depending on the skin type to further remove any excess traces of makeup or dirt on the surface skin. - Massage the face gently to increase circulation will brings out a brighter complexion. - Remove dead skin cells by exfoliate with a facial scrub at least once a week. - Gently focus on trouble areas like visible pores and blackheads on the nose. - Apply toner to balance and restore skin's PH to allow better penetration for next step which is Essense. - Essense is often regard as the most important step of the Korean skincare regime. - It nourishing liquid concentrate that enhances the skin's cellular renewal process. - It increase elasticity and firmness as well as brighter complexion. - Ampoules contain concentrated active ingredients with smaller molecules for deeper penetration to target specific skin concerns. - It work wonders to combat signs of ageing, pigmentation , excessive oil production. - use a sheet a mask twice a week on top of your skincare ritual. For damn dry skin like IMA, suggest to use more frequent. - Sheet mask soaked in nutritious ingredients. - Secret of sheet mask??? They force you skin to absorb the nutrients and moisture intensively - before the product has a change to evaporate. 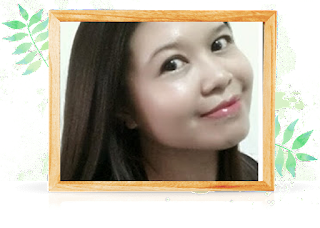 - Skin around eyes are very thin and fragile compare to our facial skin. So you need extra gentle care. - it more prone to lines , wrinkles and dehydration; so remember to pamper your eye area. - Gently tap the product around entire eyes to keep the area moisturised to shy away fine lines. - I know many of us learn to massage our eyes in circle. Well this prone to more winkles develop. - replenish skin's hydration and lock it with a lightweight emulsion. - Use fingertips to lightly massage the product into your face and neck to promote healthy blood circulation. - Another option is to use a sleeping pack which is a jelly like texture packed with moisture and many nourishing benefits, leaving the skin velvety soft and well hydrated from the inside out. For day time, you can skip this step and use a sunblock or BB Cream before stepping out! Phewwwwwww!!!!! by now , you skin should look and feel refreshed with a dewy and glowing complexion - just like most Korean have it! Tired with too many steps???? Huh! you need effort to look good! No pain no Gain! 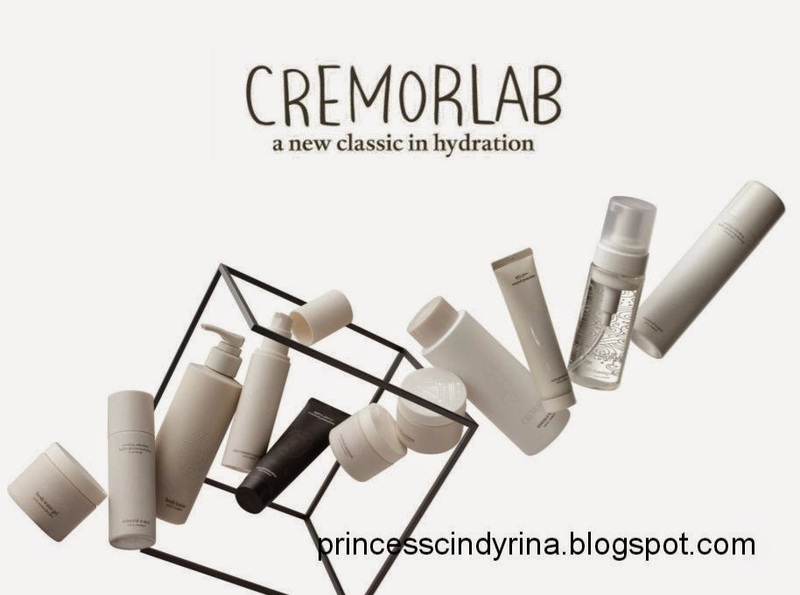 Cremorlab is nature’s gift of science. Rich in minerals, including a high concentration of vanadium and germanium. T.E.N. gives clear, translucent skin and enhances firmness. The name Cremorlab represents a golden ratio between nature & science. Nature is the artist. 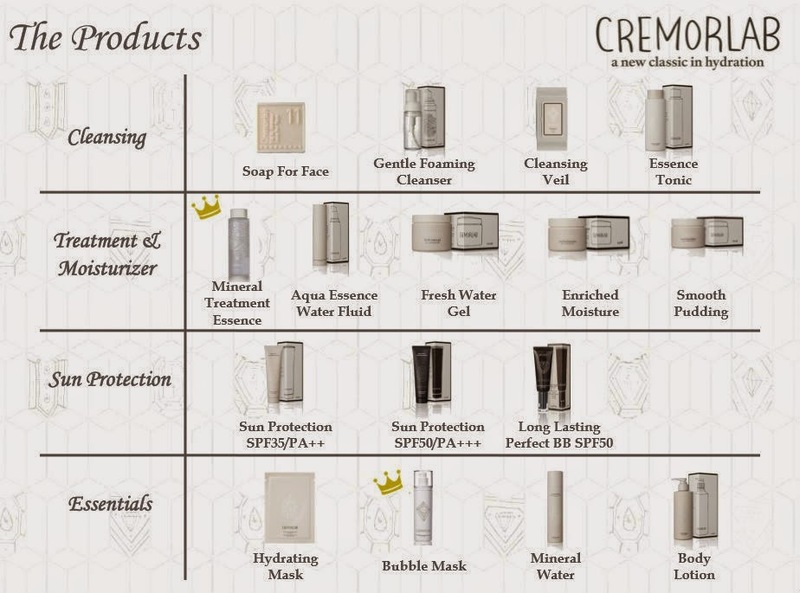 It created T.E.N., standing for “Thermal water therapy, Eco energy and Natural Nourishment”; the key in ingredients in Cremorlab products. T.E.N. 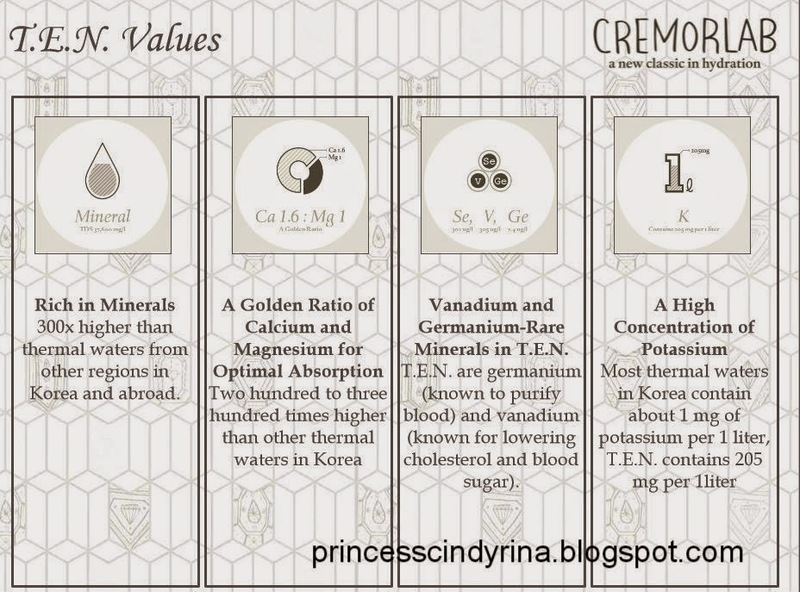 comes from the thermal waters of Geumjin, a region in Korean’s Gangwon Province, which was created during the Permian period of the Paleozoic era following crustal movements. Famous for its richness in minerals, T.E.N. comes from pristine water sources 1,100 meters underground, and has given birth to a cosmetic line with exceptional hydrating powers. Another Highlight brand is CLIV. 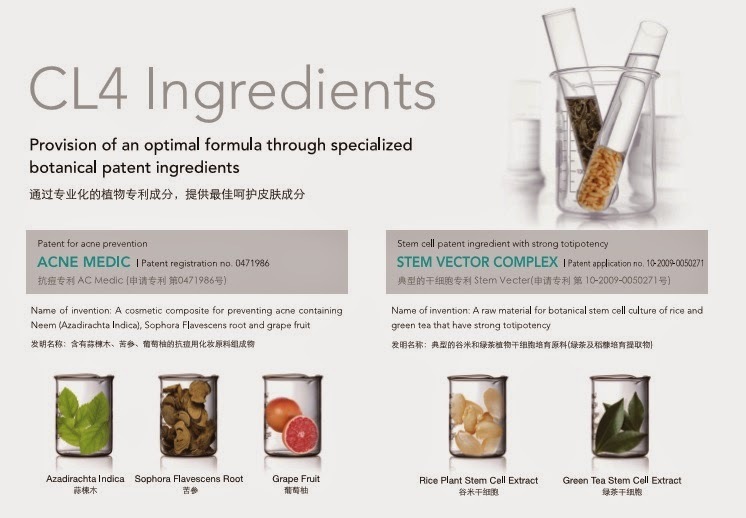 Cosmecutical Solution Laboratories 4th Skincare. 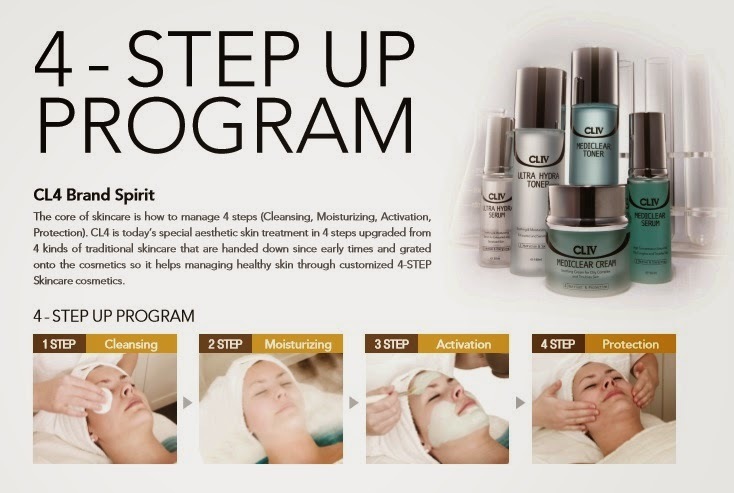 Pronounce as CL4 which is a Professional Medicals Aesthetic Brand where provides a professional skin care customized for each skin type through the 4 stages. 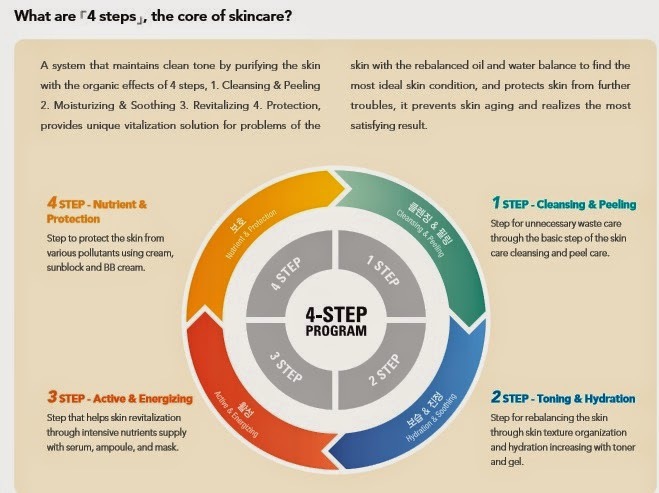 You can get your skin analysis and get the print out on your skin condition and get best advice from Beauty Consultants. 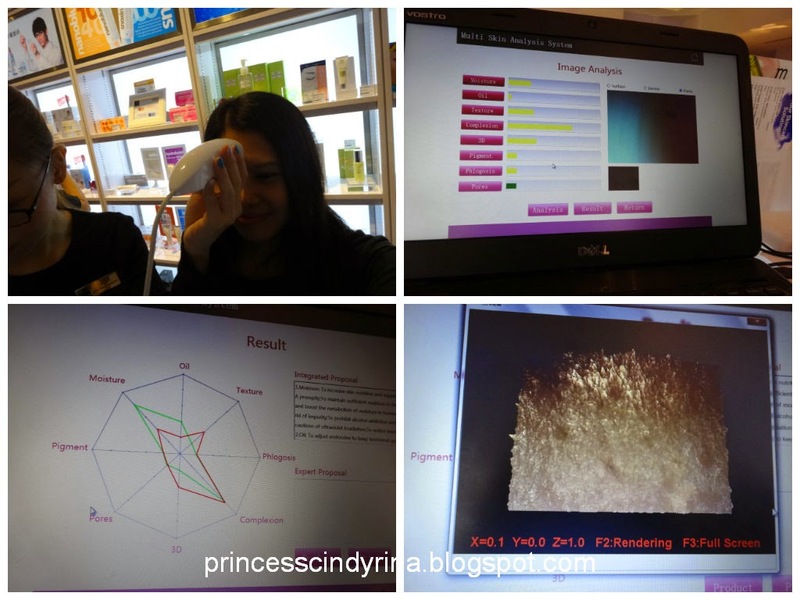 They will suggest suitable product best suit your skin condition based on your skin analysis result. IMA gotten the skin analysis done. Damn dry....small pore but full of white head. Seriously so dirty! WTH! Of course the ageing factor and the heavy pigmentation....Aegooooo..Rina yaaaaaa.....Otteoke!!!! Last but not least...IMA going through express makeovers by Mike! kekekekeke...so happy!!!!! IMA so in love with Mary Quant lipstick - Gooseberry, CLIO Waterproof Pen Liner and CLIV Revitalizing C12PL Corrector Ampoule and will review these items soon. Drop by at MUSE by Watsons and get your suitable products for better skin care! Like MUSE by Watsons facebook today and get more details on promotions available! Ohh~~~U really hardwork for your blog. Thank you very much for the great write up! Thank you for the opportunity and great presentation! Hey Cindy, wow that's a speedy post on what happened yesterday! Now I get the first scoop right here :) so that's what the 10step is all about. Thanks for sharing and the pics are lovely! P.S: I think you need to widen your blog template because the pictures are overflowing from it. Hi Tammy! yeah good information to me too. hehehe...I widen the width of the template just now.Thank you for your input. Hi Elana! Thank you...try my best! Yes learnt a lot from MUSE by Watsons too. Drop by if you happen to be at Sunway Pyramid the boutique so nice with lots of stuff! wow... no wonder korean woman looks so beautiful, look at the effort! 10 steps, sound a bit lengthy. it sounds lengthy but in practice less then 10 minutes. Some steps you just need to do like twice a week not for daily basis. lovely writeup dear..see u in next event soon!